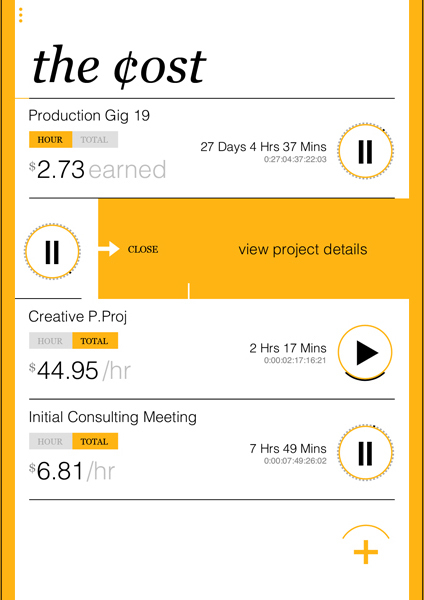 An iOS and Android app to help estimate time and worth. This was an app that I’ve been meaning to make for a very long time. I often have a hard time estimating my time and what I should charge for projects. After the project is done I can use the time, backup files, and contacts to figure out how well I estimated. More often than not I quote too low and deliver well over the scope. I needed something I could see the data on quickly at a glance. Writing down my hours then spending time playing with calculations would be too time consuming. I needed to be able to sit down and tap a button. 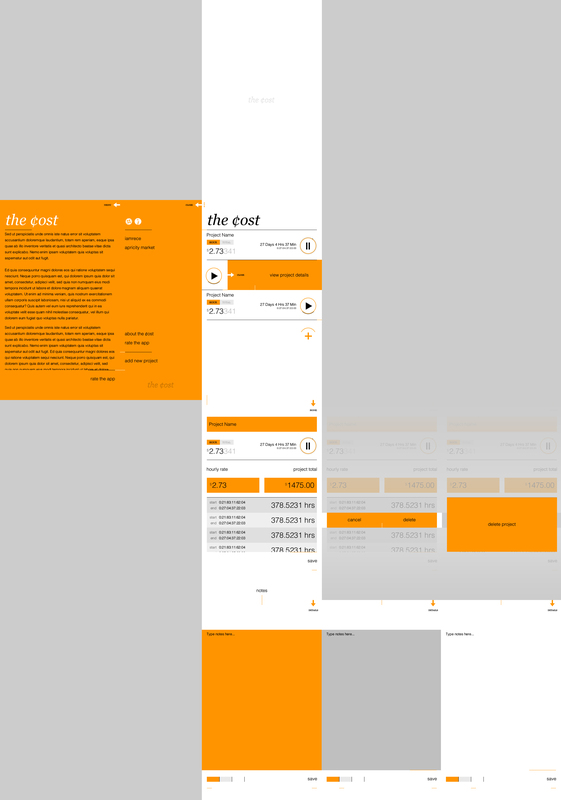 The idea was function-first so the wireframes and UX needed only a napkin test. The questions were simple: If i knew my project total, how much is my hourly rate dropping? If I know my hourly rate, how much have I earned on this project? The second question is more of a time keeping question, but I can play with the value and see the results. Scope-creep started to set in with the ability to edit times and do more, but I reeled it back in during development. The original design was a bit too heavy and “old design-y”. The clean design felt too blank and needed at least a pop of color. Orange was chosen mainly because green was too literal (specifically with USD). Later the orange was too harsh and felt odd. Lightening it up to a yellow-ish felt better. The name of the app came pretty quickly and obviously. What’s the cost of my time? How much does this cost? I then wanted to use the cent coin as the logo, but it felt too “cheesy”. Playing with iterations lead to it being close to an egg looking image. I thought about designing away from it, but then thought to lean into it. Not overt, but the idea of “trying to eat” worked well with cost and worth. I decided to have a bit of fun with the layout of the pages, so the pages would layout flat. The small design elements initially were just adding to the design. After working out the layout and needed pages, the small tickmarks on the edges of pages ended up working like staples leading to a nearby page. 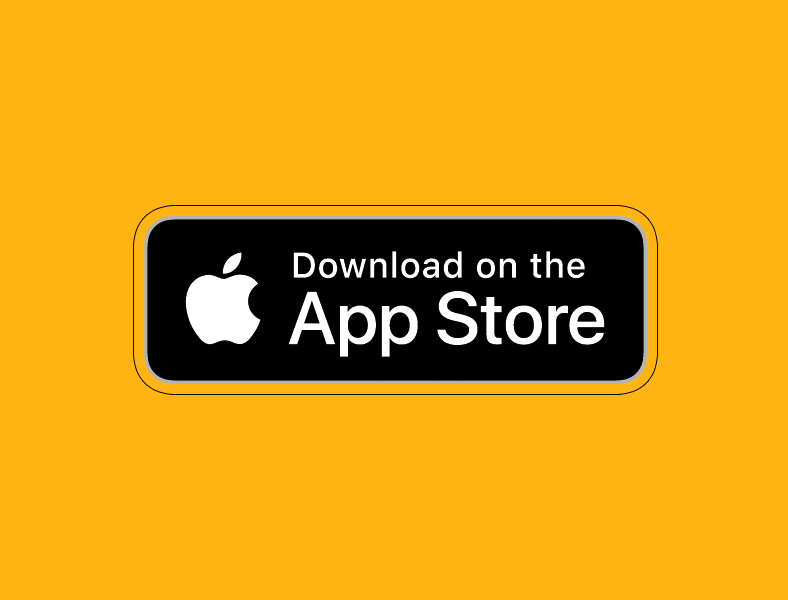 It’s available on Apple and Android devices.